HARMON, Guam — IT&E partnered with local lifestyle brand Opake Guam to bring Skate and Create 2018 to the Dededo Skate Park. The event featured a skateboarding competition and showcased local street art. 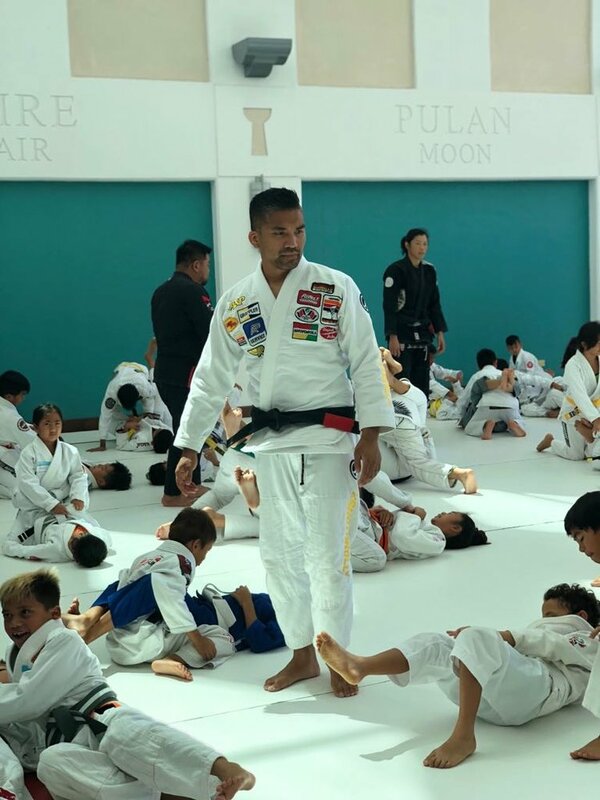 “We’re really excited to work with the Opake team and the local artists who have organized an event that creates a space for our kids and teens to pursue their hobbies safely,” says Angela Rosario, director of product and marketing at IT&E. 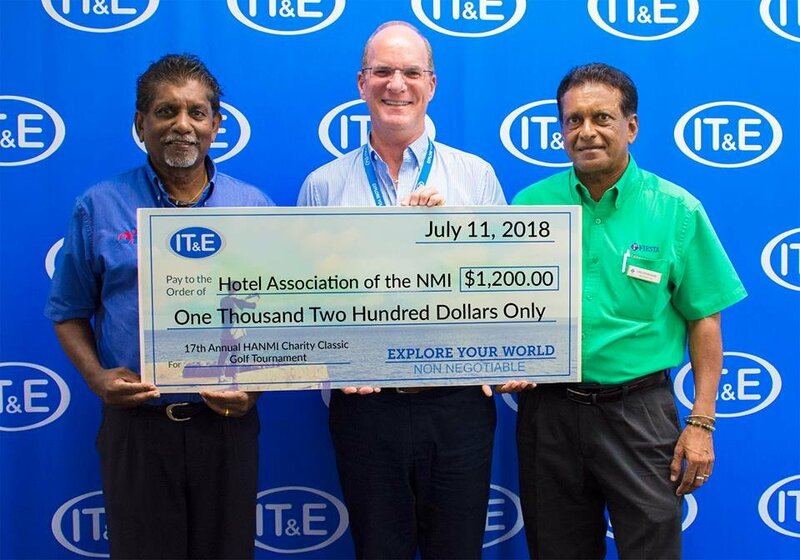 IT&E presents a donation to Opake Guam on July 31 in support of Skate and Create 2018. 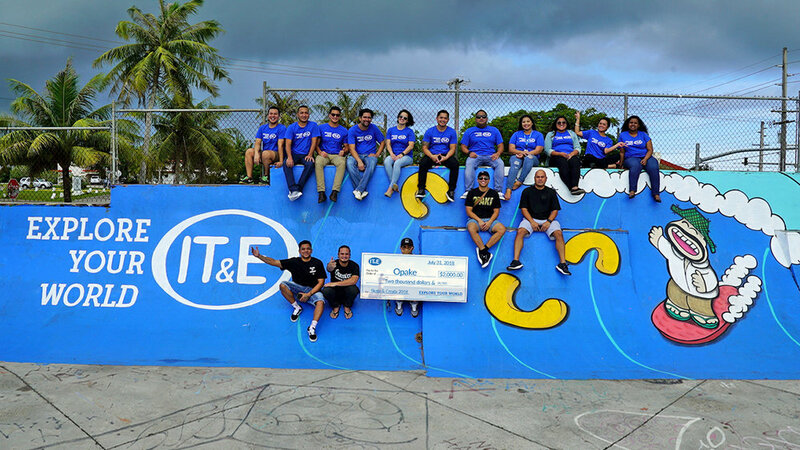 IT&E remains committed to doing its part to help the community thrive, protect and develop our youth, promote health and wellness, preserve the environment, and honor the vibrant cultures of the Marianas and Guam. Other efforts and events IT&E supported in July include Guam’s 74th Liberation Day Parade to celebrate the resiliency and history of Guam; the Shoyoroll & Friends Brazilian Jiu Jitsu open mat event, which brought star athletes to Guam to mentor young athletes; the Hotel Association of the Northern Mariana Islands’ 17th Annual Charity Golf Tournament with a donation of $1,200; Saipan’s Marianas Outrigger Club to aid in their efforts to represent the CNMI at the Micronesia Games with a $500 donation; and the inaugural Marianas Classic Golf Tournament, which was done in partnership with IP&E and Bank of Guam to benefit Make-A-Wish Foundation CNMI and Guam, the Marianas Islands Natural Alliance, and the Autism Society of the CNMI. 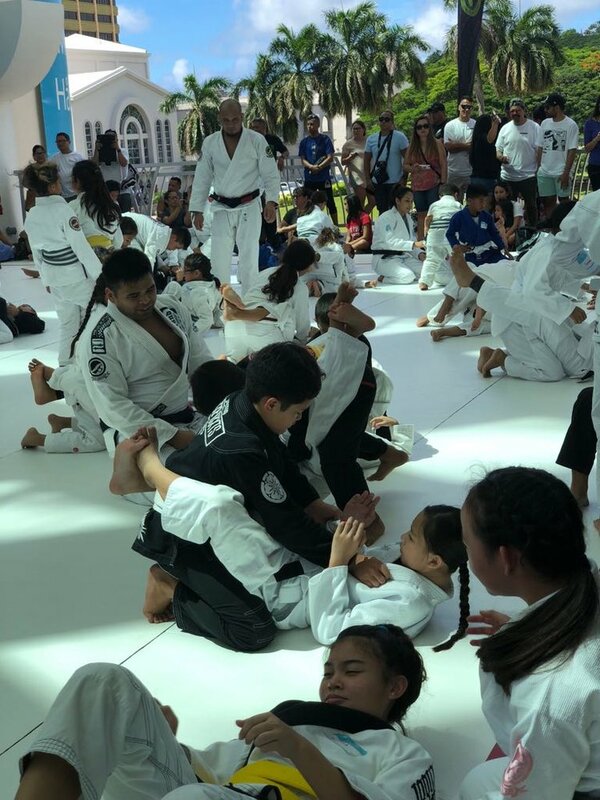 Athletes practice their technique at the Shoyoroll & Friends open mat event.